Joey Badass is an American rapper and actor who rose to fame for being a founding member of the hip-hop collective Pro Era. He came into the pop scene in 2012 when he released his debut mixtape, 1999, which was well received by the music lovers, followed by Rejex in September, and Summer Knights. He has a recurring role of Leon in the TV series Mr.Robot since 2016. Joey Badass was born on 20 January 1995, in Brooklyn, New York, United States. His ancestry is Jamaican and St. Lucian. Joey Badass attended Edward R. Murrow High School. Joey was in a relationship with Vashtie Kola in the past. Joey released his debut studio album, “B4.Da.$$” on January 20, 2015. The album peaked at no. 5 on the US Billboard 200 and went on to debut at no. 1 on the US R&B/HH and US Rap. In 2012, Joey Badass appeared on the comedy talk show, Late Night with Jimmy Fallon. Receive acclaim for his mixtapes and studio albums 1999, Summer Knights, B4.Da.$$ and All-Amerikkkan Badass. 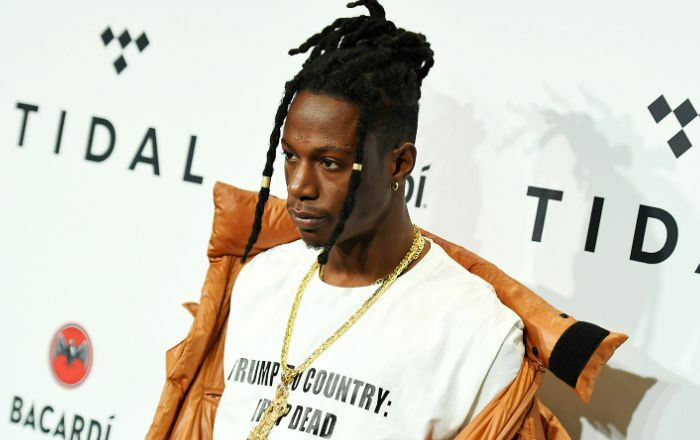 Joey Badass has endorsed multiple brands and products such as Calvin Klein, Adidas, Crooks and Castles, Billionaire Boys Club, and American Eagle Outfitters. He has a net worth of $4 million dollars and that comes from his music career and endorsements. Badass cites Nas, Tupac Shakur, Black Thought, MF DOOM, J Dilla, Andre 3000, Jay Z, and The Notorious B.I.G. as his biggest influences to his music. in 2013, he was a part of XXL Magazine’s 2013 Freshman Class. Joey was caught up in a controversy in 2015 when he broke the nose of a security guard during Falls Festival in Byron Bay, Australia. In 2016, he performed at the Coachella Valley Music and Arts Festival and debuted his single, “Devastated”, .on the stage. In 2017, Joey was featured in Forbes Magazine as well as in international Adidas and Calvin Klein ad campaigns. He was cast in the recurring role of the 2nd season of the Golden Globe-Winning television show Mr. Robot as Leon.